I’m not a huge fan of rats with wings, but I can appreciate how they can add to the serenity of a morning. 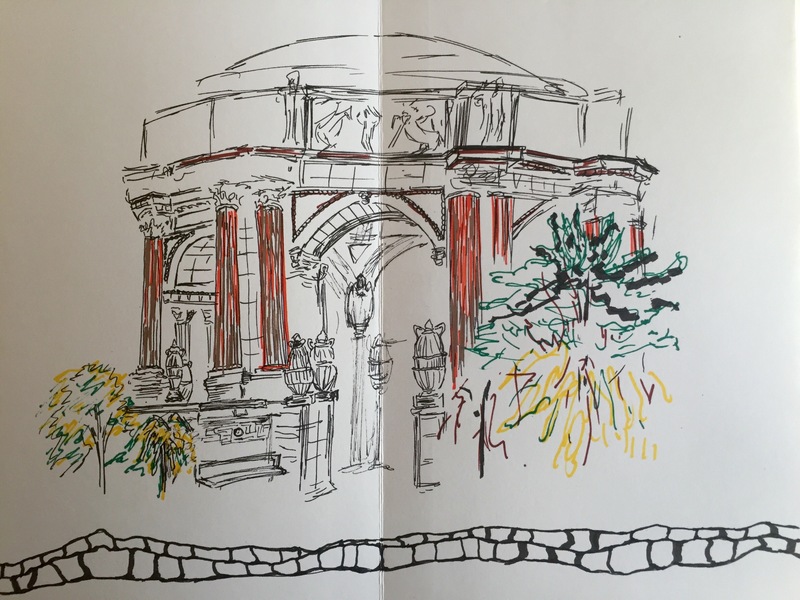 This morning we decided to set up camp at The Palace of Fine Arts to draw and to paint. While I was drawing, I spied this scene of a child and his mother feeding the pigeons and the gulls. I stopped to appreciate that moment filled with the bond shared between these two set against this massively beautiful structure built in 1915.